When the original iPad launched almost a decade ago, buying one was as simple as selecting the one model available and being on your way. 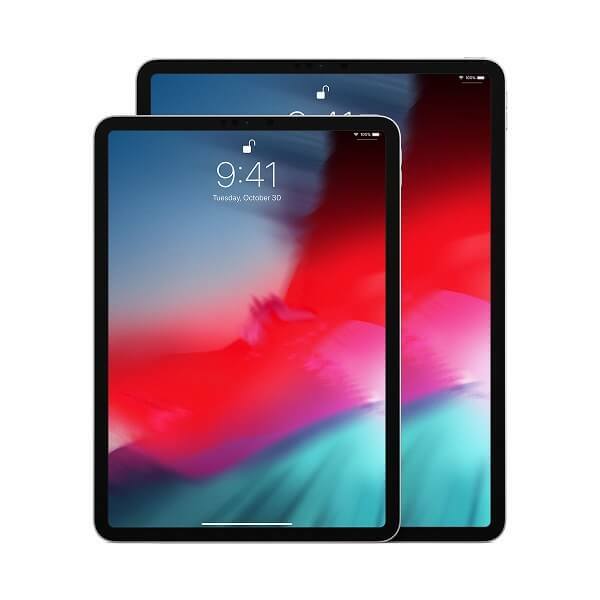 In 2019, though, there are four to choose from – the iPad 9.7, iPad Air, iPad Mini, and iPad Pro. In this guide, we’ll be focusing on two premium models – the iPad Air and the iPad Pro. We’ll explain the differences between them, and show you just where your money goes. The iPad Pro and the Air are both pitched by Apple as its high-end tablets, and while they may seem similar, there are distinct differences between the two. From the connections to processors and cameras, there’s a lot that separates them. And then there’s the 2017 iPad Pro, which Apple still keeps in its line-up, despite having been surpassed. 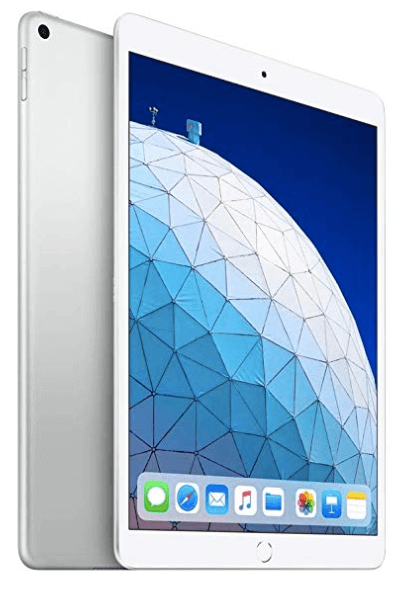 iPad Air or Pro – Which is best? Verdict: Which iPad Should I Buy? iPad Air or iPad Pro – Which is Best? As you can see from the points above, in a pure battle of specifications, the Pro beats the Air hands down. However, there’s also the small issue of price. Yes, the Pro is the better machine on paper, but it’ll also cost you plenty of paper. Starting at $799, the Pro is a serious tablet for serious people, as opposed to the Air, which is far more palatable at $499. The iPad Air occupies the space between the standard iPad 9.7-inch and the iPad Pro, bridging the gap between design and power. The Air features an A12 processor, which beats the standard iPad’s A10, but isn’t quite as powerful as the Pro’s A12x. Unlike the Pro, it can’t record 4K video, but it does feature a 7MP front camera, which is a nice step up from the 1.2MP version found on the standard iPad. It’s also compatible with the Apple Pencil, although only the first iteration – Pencil 2 support is reserved for the Pros. Storage-wise, it’s available in 64GB or 256GB variants. The Daddy of the iPad series, the Pro is pitched at those with lofty ambitions and deep pockets. 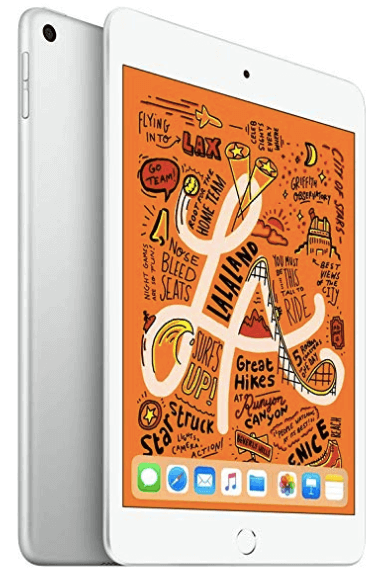 It’s slim, sleek, and features an A12x processor, making it the most powerful iPad available. It also has a few neat tricks up its sleeve, such as ditching Apple’s Lightning port for a far more versatile USB-C, making it easier to connect to your other equipment without the need for a separate dongle. It’s also the only iPad in the range that has borrowed the iPhone’s Face ID concept, getting rid of Touch ID in favor of opening your iPad with your face instead. The subsequent removal of the touch button has made the design even more appealing. It’s worth noting that Apple still continues to sell the iPad Pro 7. In all honesty, this has since been surpassed by the newer Air in most respects, and it doesn’t make much financial sense to opt for it – unless you really want a larger screen tablet and can’t stretch your budget to the newer Pro models. If you need power, a MacBook could be a better investment. See our dedicated MacBook guide. The iPad 9.7-inch is the ‘standard’ iPad, and while it may not turn heads, it’s a tireless workhorse that will suit most users. Starting at $329, it’s something of a good deal, and the cheapest iPad in Apple’s range. For the money, you get an 9.7-inch Retina display, an A10 processor, and it’s also now compatible with the Apple Pencil. That will cost you more, admittedly, but considering its previous incarnation cost the same price and couldn’t use the device, it’s a great addition for scribblers and note takers. Battery life is on par with the more expensive iPads, coming in at around ten hours, meaning you can be confident it will last you during long trips away from the power outlet. The iPad Air, in isolation, is an exceptional tablet. Its problem is that when you start to look at the rest of the range, you’ll notice it’s more powerful than the standard iPad, but more expensive, and cheaper than the Pro, but not as powerful. This begs the question: ‘Who is the Air for?’ The answer is basically anyone who wants to upgrade their iPad experience, but doesn’t need the high specs or price tag of the Pro series. The Air gives you a notable power edge over the standard iPad, as well as a slightly larger screen (10.5-inch compared to 9.7-inch). Despite its larger display, the Air manages to share the same form factor of the iPad, thanks to its smaller bezels. The Air starts at $499, compared to the iPad’s $329, thanks in part to that powerful processor that Apple has generously kitted it out with. The Pro, on the other hand, starts at $799 – a considerable increase in investment. The iPad Pro is unique in that it eschews Apple’s proprietary lightning connector for a USB-C port instead. This gives its users a lot more flexibility for how they use the Pro, and what they connect to it. For example, if you’re a photographer and want to transfer your latest snaps across to your iPad, you can simply plug your camera’s USB lead directly into the tablet, instead of having to bother with lightning to USB cables. No only that, but you can also use the USB-C to connect your iPad to another display – great for presentations, or if you want to work on a project on a larger screen. Another great boon of the USB-C, though, is its ability to charge other devices directly from the iPad. iPads have great battery life, and the Pro is no exception, lasting around 10 hours between charges. It can surely spare some juice, so if your iPhone, Apple Watch, or any other device needs a top-up, simple connect it to the iPad Pro for charging speeds up to 7.5W. The large iPad Pro, with its gorgeous 12.9-inch display, is a great choice for designers. For starters, there’s that screen real estate, which is the largest in the iPad line-up. This means it’s best for applying intricate detail to a concept, or even zooming out your current project and viewing it on a large screen. And then there’s the ability to connect it to a larger display through that handy USB-C port. Of course, the Pro also happens to have the most powerful processor in the range, and that A12x chip will give you the extra muscle to juggle several projects at once. You’ll also be able to run complex design software smoothly, with apps like AutoCAD not causing the Pro any issues. Lastly, there’s the Apple Pencil 2. With all iPads now Pencil compatible, it might seem like the Pro has lost one of its core exclusive features. Well, not quite. The Pro models are the only ones compatible with the second iteration of the Pencil, which introduces some new features that designers are sure to appreciate. First up, it’s now magnetic, and charges while attached to the side of the iPad. Compare this to the first generation model, which needs to be charged by plugging into the lightning port and sticking out like an ugly appendage. The Pencil 2 also adds some new practical applications, such as gesture support. Double tap now, and you can switch between functions – a handy feature that means users don’t have to constantly move to the menu to select a new function. For all the talk of the iPad Pro and Air in this guide, it would be remiss of us to overlook the iPad 9.7-inch model. Technically it’s the ‘standard’ iPad in the line-up, but Apple has given it so many revisions over the years – and added features that have trickled down from the more premium models – that it’s still a real contender. It’s the iPad that has the most universal appeal, and as luck would have it, it’s also the cheapest. The iPad 9.7 has an A10 processor, making it the least powerful in the line-up, but that’s not to say it’s a lethargic sloth. Far from it, in fact – with the iPad, you can happily run a vast majority of apps smoothly, multi-task, and flick between processes in an instant. Apple has also added stylus support, meaning that you can annotate or sketch directly onto the screen. It’s also lovingly crafted, with a thickness of just 7.5mm, and weighs in at just a pound. So what can’t you do? Well, it’s not best suited to run really demanding software such as Adobe Photoshop CC, but unless you’re a professional designer, this is unlikely to be a concern. Then there’s the capacity. On the standard iPad 9.7-inch, you’re limited to 32GB or 128GB of storage space. You might yearn for the 1TB of the Pros, but Apple’s memory is notoriously expensive. Our advice is to make use of Apple’s cloud storage, and don’t be afraid to delete the apps you barely use to make room for new ones. You’ll need to do a little space management now and then, but for the price, it’s worth it. If value is your main driver, then consider this. For the price of the entry-level iPad Pro, you could buy two iPad 9.7-inch models and an Apple Pencil. 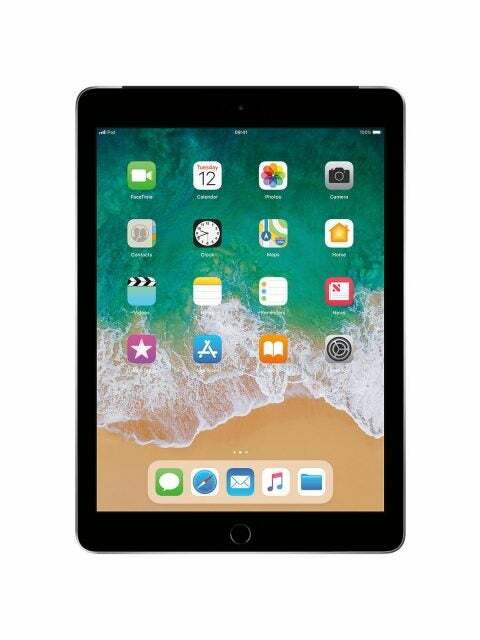 If you don’t need to run demanding software, and need a tablet for social media, Netflix and browsing, then the iPad 9.7 is just right for you, and your wallet. For the more creative types among you who don’t want your vision to be hamstrung by technology, it’s the Pro range that you should be looking at. Pricey? Yes, but they do offer the most powerful iPad experience to date – and the extras, such as USB-C connectivity, are a massive plus. So where does that leave the iPad Air? Essentially, somewhere inbetween – not as powerful as the Pro, not as cheap as the 9.7. It’s undoubtedly a good tablet, but hard to recommend for either casual users or demanding professionals.